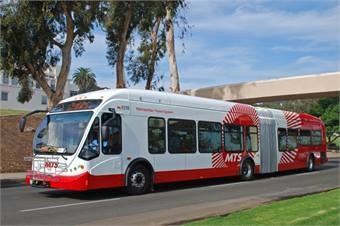 San Diego’s Metropolitan Transit System (MTS) announced more than 95 million trips were taken by passengers on MTS buses and Trolleys in Fiscal Year 2014, shattering the previous record of 91.6 million set in Fiscal Year 2009. It was an 11.5% increase from the 85,193,601 rides taken during Fiscal Year 2013. “Serving 95 million passengers over a 12-month period is a significant milestone for MTS and the public transportation system in San Diego,” said Paul Jablonski, CEO of MTS. In FY 2014, MTS deployed new low-floor Trolley cars on the Orange Line and realigned the Green Line to provide service all the way to downtown. 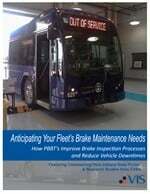 This made trips faster, more comfortable and more convenient for all passengers. The new trains help speed up the boarding process by allowing direct access and eliminating the need for mechanical lifts for people using mobility devices. MTS also implemented automated passenger counters (APC) on all trains to tally passengers more accurately. APCs provide an advantage because they collect ridership data through sensors, which increase accuracy over old estimation programs and reduce costs associated with manually collecting the data. Trolley ridership increased nearly 34% over the previous year from 29,699,366 in FY 2013 to 39,694,197 trips in FY 2014, while the bus system logged 55,316,353 trips in FY 2014, a 1% decrease over FY 2013 primarily due to construction delays on major routes.